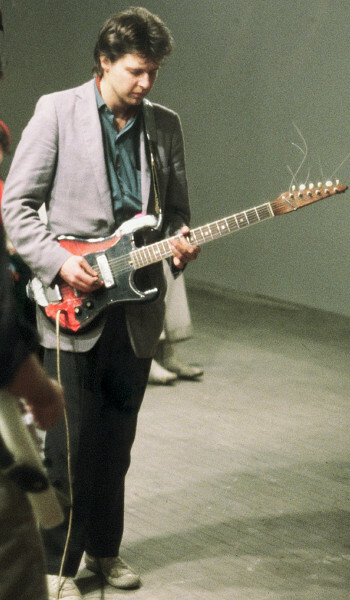 Iconic composer Glenn Branca passed away over the weekend at 69. Best known for his electric guitar 'Symphonies' and his involvement with the Downtown avant-garde scene in 1970s and 80s New York City, the gravelly provocateur was also a notorious musical omnivore, despite the singular nature of his own music. In 2007, Branca envisioned a season of orchestral programming in The New York Times, writing: 'If New York had a full-time symphony orchestra that only played music from the 20th and 21st centuries it might be called the 21st Century Philharmonic and its first season might look something like this'. Peruse select scores from Branca’s hypothesis below, which also would have commissioned new works from Julia Wolfe and Michael Gordon, and commemorated the life of kindred firebrand Julius Eastman. He shall be greatly missed.